This is another example of a design created to meet a growing need. There is an abundance of antiquated oil-fused cutout switches in service that are environmentally and electrically ineffective as power distribution elements. Our client asked us for a solution to this growing problem with the necessity to accommodate the existing space constraints. We developed this unique switch unit, with applications in both 2.4kV and 5kV, to exceed their expectations and provide an easy to retrofit switch unit. 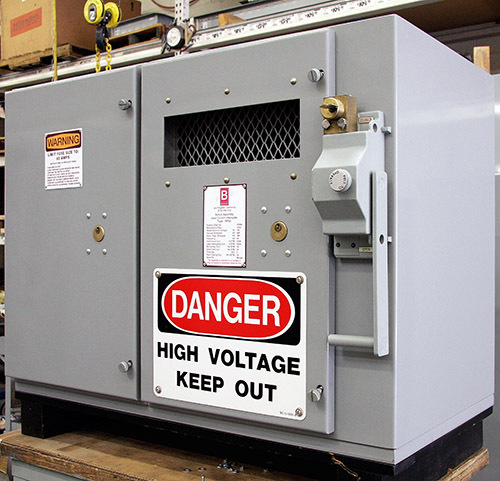 Switchgear retrofit of existing conditions is our specialty. We have the knowledge of existing construction techniques as well as the latest developments in electrical distribution components that enable us to successfully merge the new into the old systems.